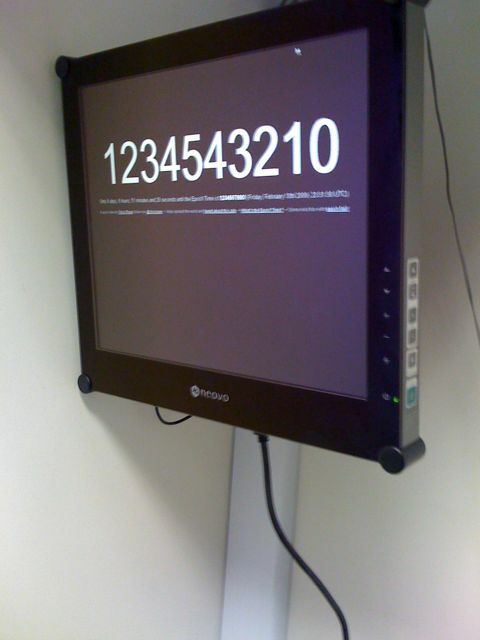 So, its only a few hours away from the timestamp 1234567890 and we just went past 1234543210. As always, sad enough to take a photo (well, Jordan (www.oxcreative.com) took the photo) on a monitor in our office which is displaying www.coolepochcountdown.com. Its only 6 or so hours till all hell breaks out and the time starts going backwards (or we just see a nice timestamp come and go).